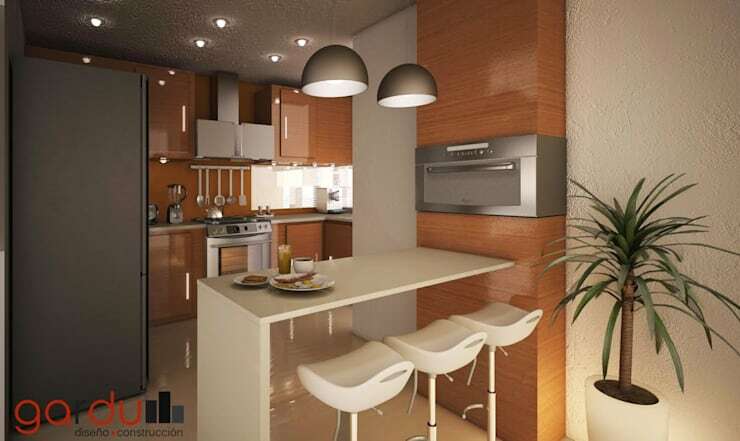 A spectacular kitchen that includes everything you need such as appliances, utensils, lighting, space and good decor can become very expensive and require a lot of time for planning. 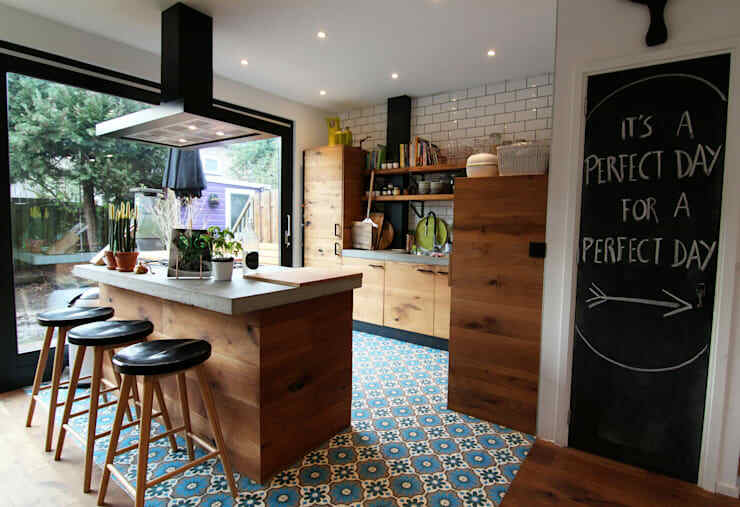 But do not stress, for there is an alternative thanks to homify! Today we will present you with a series of perfect alternatives that do not require too many new items or custom-made products. You can find everything you need in auction stores or second-hand shops. You must also choose appliances that will be useful for everyday kitchen activities. It is not advisable to buy things that are later going to be forgotten in a cabinet somewhere. A very practical idea is to always have the main items that you will use frequently such as cutting boards and cups placed in an overhead shelf, allowing you to access them easily. 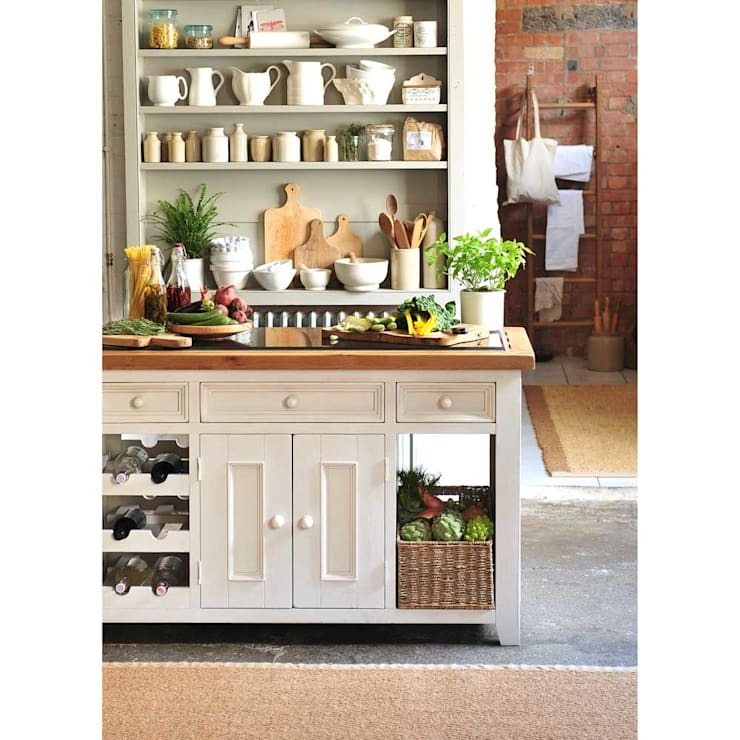 But items should also be stored neatly out of sight, maintaining a sleek and minimalist presence in your kitchen. Any process of remodeling and improvement usually requires a high cost of both time and money. This is why you should evaluate what materials will be used in the new kitchen. If it becomes expensive or tedious to replace everything, you can also recycle some of the existing furniture or decor! When in doubt, simply paint the walls white. You can also paint the kitchen cabinets white or leave them the same colour that they were previously. White instantly creates a modern and light space and works with everything! We've already touched on including kitchen islands or a food preparation space in your kitchen briefly, but we also need to note that including an island in the design of your kitchen doesn't mean that your kitchen has to be particularly big. If the kitchen is well laid out and well designed, then it can include an island very easily, even when the kitchen lacks square metres. 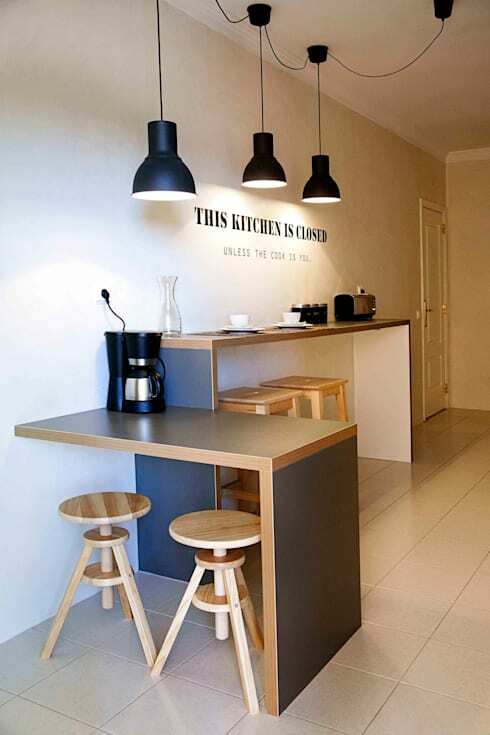 When you design your kitchen, the first thing that you should consider is functionality. Remember that depending on the location and the size of the kitchen, there are ideal places to install a sink, a dining place for the family and, of course, a kitchen island. It is therefore necessary to take everything into account before deciding where the island should be. It does not have to be huge, but it should be functional. Currently most decorating projects tend to include a bit of nature, which is exactly what we see here in this kitchen, designed by professionals The Cotswold Company. This is why we find so many countless herbs in the shops, allowing us to choose those that are to our liking. Herbs are an excellent (and budget-friendly) form of decor in the kitchen. They can also be used for cooking all the time too! Putting them on display like the designers have done here ensures that you have a natural colourful display while having easy access to delicious herbs and spices for your dishes. These can include parsley, garlic and chilli! Storage sites in a kitchen are a big priority. Luckily there is currently a host of designs and models that allow you to invest in smart storage solutions that are both practical and economical. It is no secret that in order to obtain good, quality furniture, you need to invest large. However there are a few alternatives where you can save. 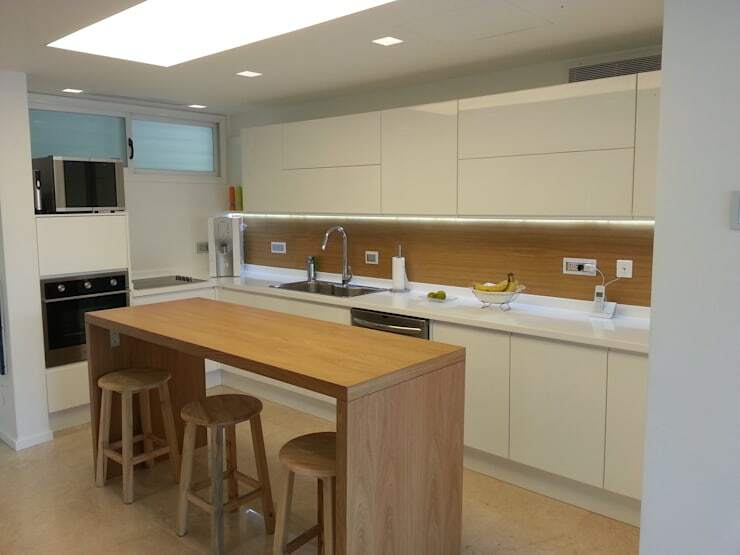 For starters, you can opt for glass doors for the cupboards in your kitchen. Glass is usually a lot cheaper than wood. Not only will you cut costs, but you can also put all of your favourite dishes on display without them getting in the way. Have a look at these: 6 smart storage solutions. One of the easiest ways to decorate on a budget, is to apply vinyl wall stickers to the space, instantly transforming it into a modern, retro and trendy hub. This is the perfect and most convenient way to decorate! Decorating with vinyl is very practical and durable, helping us to enhance the beauty of certain areas of the kitchen in a personal way, without overwhelming the space with too much detail. The most ideal spots to use this is on the walls between the cabinets or above the sink. Whatever spot you go for, ensure that it doesn't get wet very often. Opt for your favourite quotes, messages from friends or extracts from books—anything that will inspire you while you are in the kitchen.